Toshio Furukawa began his career in voice acting in the 1960s. He is best known for his roles as Piccolo in Dragon Ball, Ataru Moroboshi in Urusei Yatsura, and Portgas D. Ace in One Piece. Furukawa has portrayed a wide range of characters, from comical to serious characters. 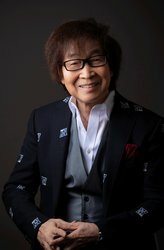 In addition to his long list of voice roles, Furukawa also worked on dubbing American movies including Little House on the Prairie, Back to the Future, Scooby Doo. His Hobbies are fishing, creating dioramas, reading and movies.